THE BRITISH RAILWAY STORIES LTD: "A4 Conversion Parts, Final Test (Part 3)"
All done! The final test for the A4 Conversion etches has been completed, correct lamp irons and all. Fox Transfers numerals were applied to the front end, and sealed with Johnson's Klear, airbrushed on. Gloss black enamel paint from Humbrol was used to blend the two middle lamp irons into the rest of the front end. I am unsure of the paint finish of the two outer lamp irons, as Mallard's current form, and that of Sir Nigel Gresley when repainted into this livery, are different (the latter painting the lower section garter blue to match the valances). So I am researching that further before committing myself one way or the other. 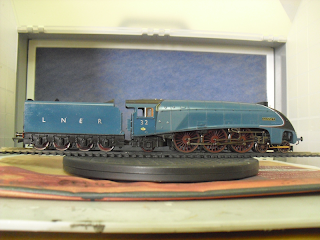 The tender wheels were replaced with the correct liveried ones, to finish the model off. 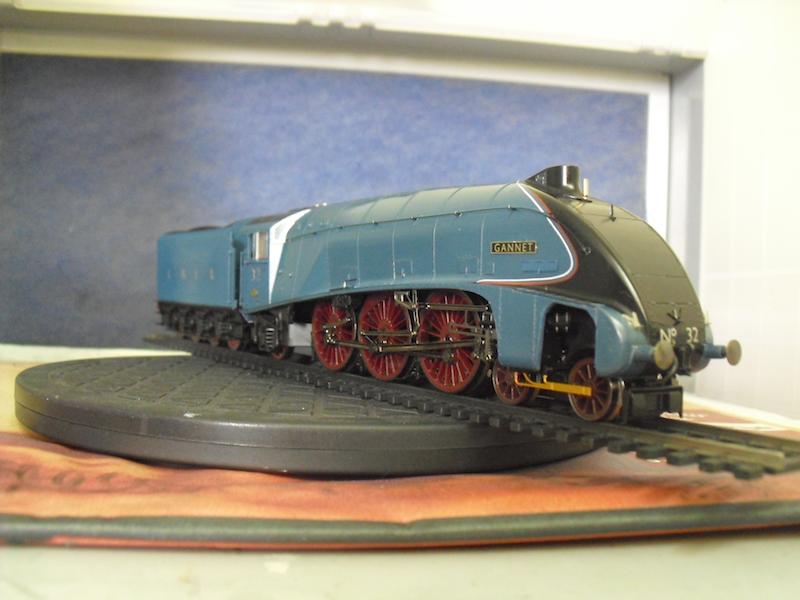 I'm debating whether I should weather the model or not, but for now, I'm enjoying the high gloss finish on the locomotive. 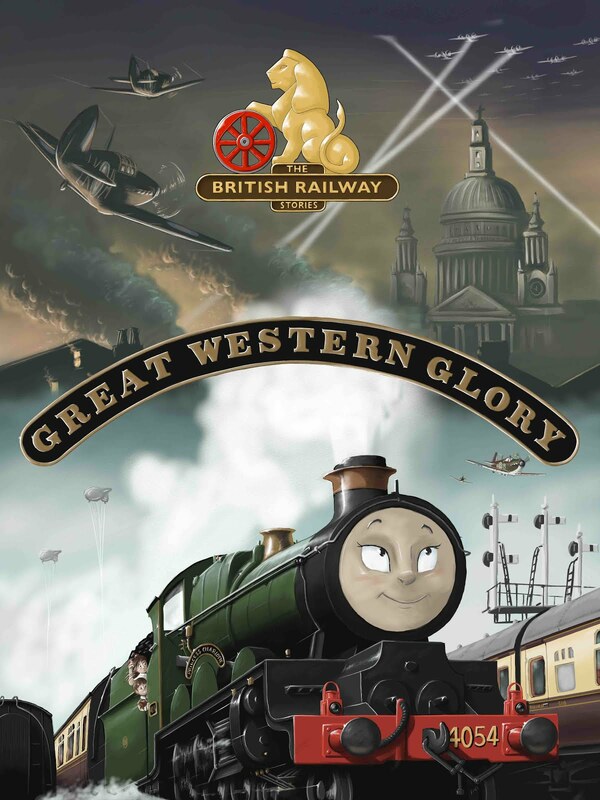 I've very much enjoyed this project, and I am looking forward to making them available soon to modellers who want to do a conversion of their own. 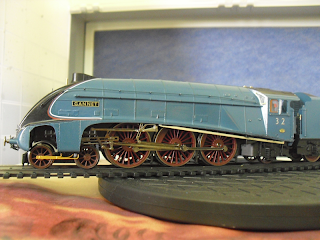 Thompson's numbering system, together with the chrome numerals and lettering of the post war garter blue livery, really do set off what is in my opinion one of the finest locomotive classes ever built. The removal of the valances really does add to the locomotive too. It's the most handsome form of these locomotives, and it is a shame in many respects that no A4 Pacific has appeared in this particular form. 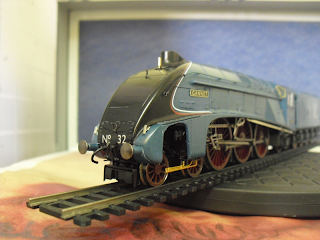 Sir Nigel Gresley has come close as a garter blue no.4498, but I suspect applying the Thompson numbering system to Gresley's most cherished preserved locomotive might be a step too far! I'll be doing more of these conversions in future to allow myself to model all of the A4s I want for my future home layout, but for now, I'll be moving back to the suburban end of things, with an upcoming N2 conversion, more L1 renumbering and modifying, and the last few bits of building 60113 Great Northern.